Currently I have 1054G, 198 auctions, 40 ongoing bids and 100G invested at Thelnia. This account shows that the weekend harvest was great. Though some low level enchanting material still rots, the bronze sold like candy, and lot of underpriced item were bought in the morning (probably from kids) and resold at the evenings. For my greatest pleasure random hordies found my auctions in the neutral AH. I'll be transporting huge amount of Wool cloth there. In the meantime I made it to lvl 28. Found an interesting post on Random Battle. It's on the one hand explain in simple terms how to start your business carrier, on the other hand tell you how to make good money from people who don't use AH but sell their stuff on the trade channel. Though it's really a good way to get rich, I don't bother reading the /2 which is mostly flooded by "LF2M tank and healer" and simple childish nonsense. But if you have the belly, go for it! Great topic, I've always enjoyed working the AH. This past Sunday I landed on a brand-new server (rolled Horde this time) and now I'm at ground zero. 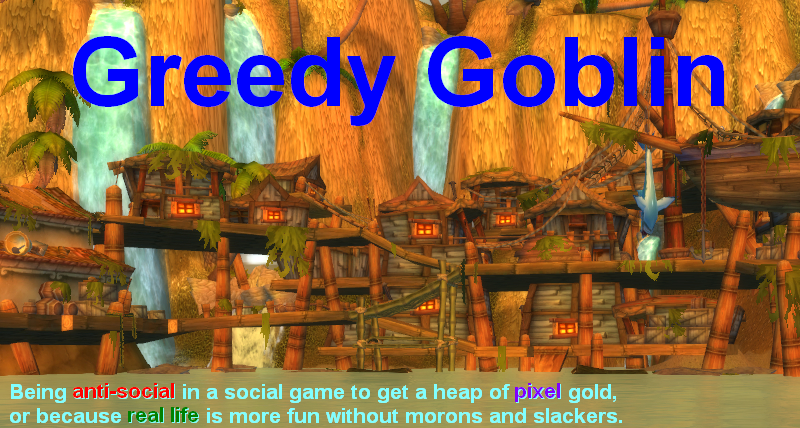 I don't have wealthy toons to send my lower alts money. I started adding things to the AH yesterday in the mean time I'll be observing the AH for at least week before I start flipping. I made 10G after posting a few items so that wasn't bad at all. Soon, my Horde toons will have a lot of money just like my Alliance toons. 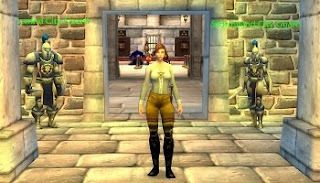 Interesting how in some ways working the WOW market is similar to real life. In real life, I am business owner. Oh by the way, great website! I'm adding you to my RSS feed.